It was a choppy, grind-it-out win for the Kansas Jayhawks tonight as they took on the Warhawks of Louisiana Monroe. The adjustment to the new foul rules the NCAA has instituted this season continues. More on that later, but for now, some quick hitters from tonight’s 80-63 win. Frankamp serviceable as the backup point guard: I made the point before the season that I saw Frankamp as the only real redshirt option this year. While I don’t think Tharpe’s one game suspension had much to do with the decision to let him play, I do think he is going to get some great experience this season in that third ball-handler role. Self must agree, and Frankamp was able to prove it by posting 3 assists to 1 turnover in a game where he saw extended floor time. Mason was hit with foul trouble early which thrust Conner into the action. While he didn’t shine on an off shooting night, he didn’t do anything to hurt his standing either. Andrew White III pushing for more minutes: White was one of the best players on the floor tonight. He is the direct backup to Selden, but has really outperformed the frosh thus far. White’s line of 12 points on 67 percent shooting plus four rebounds and one steal looks pretty good in comparison. However, Selden had four assists to one turnover while White had zero and three. I think Selden is safe for now, but White continues to impress in his young sophomore campaign. Defense must improve fastansas KU again gave up a high percentage of made baskets to their far less talented opponent. The Warhawks posted 42.9 percent from the field in Allen, and it was a lot better than that before a couple of their best players fouled out early. That is not going to make Bill happy. I said this on Twitter, but I think it is worth repeating. Given this team’s length and athleticism, there is really no excuse. They should be able to guard better than this on effort alone. That effort is there for short spurts and the Jayhawks become stifling on D, but they don’t sustain it for long and are allowing inferior competition to stick around. Against a Duke team that just dropped 111 points on 70% from the field, the effort will need to be there all night or these young ‘Hawks will get blown out. Bend your knees: Kansas shot a miserable 63 percent from the free throw line. Given that there were over 70 free throws attempted in this contest, the team that is able to capitalize better from the line is likely to gain a 5-10 point advantage from the charity stripe alone, as long as the refs are calling games this tight. Something to watch going forward. Beware of the Blog’s Player of the Game: This covered award goes to Andrew Wiggins who, despite a slow start and streaky energy level, posted 16 points on an efficient 5-for-9 from the field including 2-for-4 from three-point land. He also contributed three rebounds, two assists, three steals with only two turnovers on the night. This was a well-rounded effort from the touted freshman. You Let the Whole Team Down Award: This award goes to Jamari Traylor who could not figure out how to set a proper screen. He had four turnovers including the three illegal picks he set. Those are valuable possession wasted. Clean it up, Safari. 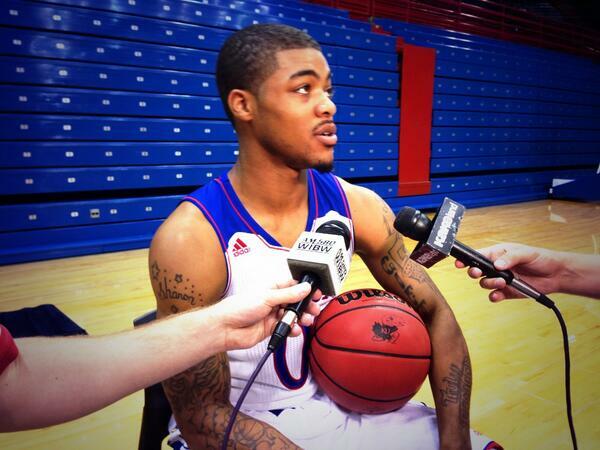 How high is the ceiling for Frank Mason? a few of these responses look like left by brain dead folks? Your site provided us with useful info to work on. You have done a formidable task and our whole community will be grateful to you. I such a lot certainly will make sure to do not put out of your mind this web site and give it a look regularly. breathing, a new report by generic specialists says. telling me what I already know – I’m using a proxy. In order to use it on the handheld device such as the i – Phone, you need to jailbreak the device first. to the shop that provides red sure footwear she acknowledges by using an promoting over a paper or TV skilled. conserve you income that you simply spend on paid out adverts. out as being incredible, but neither is truly bad, either. In the i3 vs i5 vs i7 battle, the Core i7 is the hardest to recommend. transport of frozen red blood cells, which must then be thawed and re-infused into an athlete in a non-clinical setting. No employer would want to hire someone who hasn’t worked on honing their skills. I like all of tthe points you have made. After that’s open, you are able to click on the “view files” or the “view objects” buttons and look around. employee taskforce to evaluate there submissions for bugs and cheaters. Hi to every single one, it’s truly a pleasant for me to visit this web site, it includes important Information. Can I simply say what a comfort to uncover somebody who really understands what they are discussing on the web. 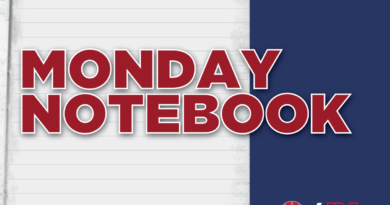 I hardly comment, but I browsed through some remarks on Quick Hitters: Louisiana Monroe | Rock Chalk Blog. impression like some of the responses come across like they are written by brain dead visitors? content and other stuff, is there any other web site which provides such stuff in quality? eventually come back at some point. I want to encourage you to continue your great writing, have a nice morning! walk into a specialty shop and see their well-stocked cigar humidor. However, both left me feeling deprived, irritable, jittery, and also left me with significant mental fog. manner to do this is to learn more about a.
Louisiana Monroe | Rock Chalk Blog. And I actually do have a few questions for you if it’s allright. appear as if they are written by brain dead individuals? to use iWebKit and Cocos 2nd. Be certain to follow the instructions precisely as they are given. As soon as you have linked it, start Telephone Disk by double clicking on it. visitors for setting up new web site or even a weblog from start to end. Your style is so unique in comparison to other folks I havfe read stuff from. Many thanks for posting whben you’ve got the opportunity, Guess I’ll just book mark this site. your device is jailbroken, you require to obtain Winterboard. The ability to change the appear of your iPad 3? in his/her mind that how a usesr can understand it. Thus that’s why this article is amazing. Au-delà des conclusions de l’étude et ses interprétations qui en seront faites, le travail effectué par l’institut Max-Planck met en lumière la plasticité du cerveau. ” Le cerveau a la capacité de se reprogrammer instantanément, en changeant son mode de fonctionnement “, expliquait James Olds à Nicholas Carr dans un entretien de 2008, cité dans son ouvrage “Internet rend-il bête”. images sublimes et performances incroyables inside !